Dial-X Automated Equipment, Inc. was incorporated in the state of Indiana on February 4th, 1972. Dial-X Automated Equipment operates from our 25,000 square foot facility as your complete source from machine design to control systems. 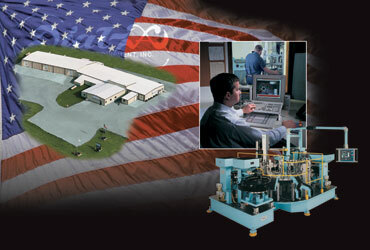 Built on American soil and standing on American values for the purpose of providing quality automated equipment and components at a reasonable price. Located just 20 miles northwest of Fort Wayne, Indiana, the facilities are devoted strictly to producing top quality automation equipment. From design to final assembly, all the work is done in-house. We do all the engineering, both mechanical and electrical. Our engineering staff has a combined 125 years of experience in designing and building automation equipment. The machining is also done in house, with parts being sent out only for black oxiding and heat treating. We build the bases, heads, presses, feeder bowls and index tables. Dial-X Automated Equipment manufactures all vibratory drive units for their feeder bowls and maintains a large variety of feeder bowls in stock. This means single source reliability and quality. The automation equipment is assembled and tested in our facility using top-of-the-line components. When an automated machine leaves Dial-X, our work still isn't done. Our service includes setting up the machine in the customer's plant, doing a demonstration run under production conditions, and training your personnel to operate and maintain the machine. Production and inspection documentation is an important part of the entire process. It not only provides a customized reference guide on the automated equipment, but is also a valuable resource for future automated systems in a particular work environment. Once your new automated equipment is checked and approved for shipment, our role moves into a crucial phase of customer service. Prior to final approval, Dial-X Automated Equipment attends to your new automated system on-site, ensuring proper setup and detailed training for your equipment operators. For more specific information about Dial-X Automated Equipment's procedures, please visit our Buying Guidelines page. In addition, parts and workmanship are guaranteed for one year. Dial-X has built tables, stainless steel feeder bowls and tracks, automatic stud and screw drivers, and custom designed machines for many large corporations including General Electric, Essex, Arrow Automotive, Sheller Globe and AMF, to name only a few. Many small companies have also purchased our automated equipment, increasing their production and quality while holding down labor costs.